Way back when, Dawn graduated from Villanova University with a Bachelor's degree in Mechanical Engineering and later graduated again from the University of Phoenix with an MBA . After years of working at a large aerospace company as an Engineering Manager, Dawn left the corporate world to raise her three children. Her love of children, books, and the English language, combined with her wild imagination, inspired her to write picture books. After years of writing hundreds of corporate documents, Dawn is now thrilled to be writing picture books instead. Dawn is an active member of SCBWI and both a local children's writers critique group. When she is not busy with her children she is writing and reading and editing and critiquing and writing... She is married with three children, her son, Jace, 11 years old and twin daughters, Remi and Rylee, 9 years old. Recently, Dawn and her family rescued a Golden Retriever, named Lily, and welcomed her into their home. Yay, November 1st, is just around the corner which means it’s PiBoIdMo. Picture Book Idea Month, where you come up with a picture book idea each day during the month of November. With PiBoIdMo, not only do you end up with a boatload of PB ideas, you get inspired by wonderful authors who, like you and me, may need a jump start to get their creativity into gear or just need a verbal hug 😉 There are opportunities to win fabulous prizes too, so sign-up and get inspired! Summer School? Yes, summer school where you learn from some of the best for FREE! This year’s’ theme is The Plot Thickens…sounds intriguing and exciting! 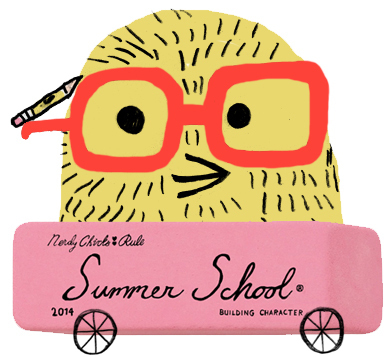 I’m proud and honored to be on the Board of Education for Kidlit’s 2015 Summer School program alongside Sudipta Bardhan-Quallen, Kami Kinard, Marcie Colleen and Leeza Hernandez. Join our fabulous community of people and get inspired by writers as passionate about kidlit as you are!